When you drive through a border town, you can't tell where one state ends and the other begins. That's at the core of Roseanne Di Giulio's dilemma. She's owned the house at 62 Hudson Street in New Fairfield for nearly two decades. It overlooks Putnam Lake and sits right on the state line. In fact, a portion of her property is in Patterson, New York. The deed indicates she's meant to pay property taxes in both states. Since the 1950s, Connecticut has taxed the house, and New York has taxed a small parcel of vacant land. Two years ago, Di Giulio discovered something that turned her life upside down. She called Patterson Town Hall with a question about putting a shed on her property and spoke with the town assessor. "She said, 'You don't own that property,' and I said, 'What do you mean I don't own it? I have since 1997.' She said it was foreclosed on back in 2010," recalled Di Giulio. It appears the problems actually started years earlier when Di Giulio refinanced her house. She said she's come to learn that the lender, Chase Bank, escrowed the Connecticut taxes, but not that small portion – $15 a month – for New York state. "They weren't paying the taxes, but even more than that... the town of Patterson failed because they never notified me of an arrearage," said Di Giulio. Foreclosure notification is governed by the state; officials must send the homeowner first class and certified letters. But the Di Giulio house has two mailboxes. Putnam County New York claims it notified her by sending mail to a box in New York. The problem is that Di Giulio is a Connecticut resident and only uses the mailbox that sits in Connecticut. "They said the carrier actually wrote on the envelope 'CT resident' and mailed it back to them," she said. The law also requires the county to personally serve notice to the homeowner and to publish notice of a foreclosure auction in two newspapers. No one from Putnam County or the town of Patterson will address the Troubleshooters' questions regarding the foreclosure notification, but Di Giulio said they never reached her, and by the time she found out, the statute of limitations had already expired. As unusual as this story might seem, there are dozens of Connecticut towns that sit on the state line: on the New York border to the west, along the northern border with Massachusetts and on the Rhode Island line to the east. What's clear is there are hundreds of Connecticut residents who pay property tax in more than one state. It's who owns the property now that makes Di Giulio's story even more intriguing. Her next-door neighbor Alethea Jacob, a spiritual life coach and metaphysician, bought the New York portion of the property at the foreclosure auction in 2010 for $275. "She owned the property for two and a half years without telling me, without saying a word," said Di Giulio. Since that time, someone alerted the Patterson tax office that, in fact, half the house is in New York, according to property tax documents. 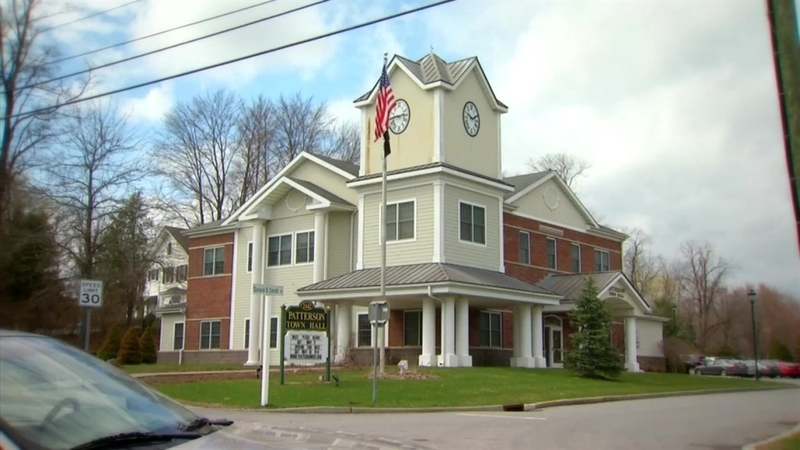 As a result, the taxes were re-allocated in 2012, and while New Fairfield is collecting about $300 less per year, the New York taxes have increased more than tenfold. Now Di Giulio has filed a lawsuit against Putnam County, the town of Patterson, Chase Bank and her neighbor Alethea Jacob to recover what she's lost. Because of that suit, Jacob would not speak to us on camera. In an email to the Troubleshooters, she said the two sides worked out a settlement agreement last fall that would have returned the property to Di Giulio. She said the bank was willing to foot the bill, but Di Giulio rejected the settlement because she wants the taxes changed back as well. "I want them to reverse everything which just nullifies her deed and puts everything back exactly the way it was prior to this nightmare," said Di Giulio. A spokesperson for Chase Bank confirmed that Chase originated Di Giulio's loan, but would not comment further because of the lawsuit. Di Giulio's attorney acknowledges Alethea Jacob did nothing illegal when she bought the property at auction and said the judge in New York has encouraged the parties to explore settlement options before the next hearing later this month.